This year marks the first time figure skaters can use vocal music at the Winter Olympic Games. I celebrated at the announcement as I viewed it at progress and a way to bring freshness to the sport. But upon further review, my opinion changed. 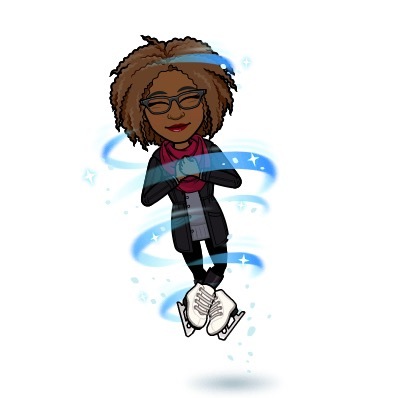 I’ve been indulging in lots of figure skating during the 2017-18 season since I ponied up for Icenetwork and another streaming cable service. After listening to many vocal tracks that are just awful for artistic performances, I think let’s end this experiment. You can tell some chose music they just like with no thought to how well it works for figure skating. The problem is some athletes did choose well. Which defeats the argument of totally ridding vocal music from figure skating competitions. I read an article where a Korean skater said they wouldn’t skate to K-pop music because no one in the arena would understand the words. My rebuttal to that is an Italian skater is using French vocals, as is a Canadian skater. Everyone doesn’t understand French either. The entire ice dance pattern music is Latin some which have Spanish vocals. I say work in some tasteful K-pop as long as vocals are going to be a thing now. I never thought it was new thing to use vocal music in Ice skating, but i haven’t kept up with the sport in years. I think it can also be distracting to the skater and the audience Then again, some skaters may use vocal cues to time their moves. It’s not really new, just new to the Olympic Games. It’s always been used in exhibitions. And eventually other amateur competitions started allowing it, I think around the early or mid-2000s. In Olympic years skaters typically didn’t use it because they’d have to learn too many different programs. Yes, for me it is distracting, unless the moves are timed to the vocals or are telling the story of the vocal. I feel like some skaters/choreographers just picked pretty music or popular music that didn’t help the skater demonstrate artistry.